NORMAL, Ill. – The Law Enforcement Torch Run® for Special Olympics (LETR) has awarded the 2013 Richard LaMunyon Law Enforcement Torch Run for Special Olympics Hall of Fame award to Chief Russ Laine of the Algonquin Police Department at the annual International Law Enforcement Torch Run Conference in Orlando, Fla., which was held Nov. 7-9. Chief Laine was presented with the award for his selfless dedication to the athletes of Special Olympics. He became involved in the Law Enforcement Torch Run for Special Olympics in 1990, when the LETR raised just $20,000 in Illinois. This year, the Illinois LETR is expected to raise $3 million! Through his years of involvement, Chief Laine has guided his department to one of the state’s leading fundraising departments, raising nearly $110,000 over the last five years. He has led by example by actively recruiting new agencies across the state and participating in nearly every fundraiser Illinois has created including plunging into Lake Michigan as part of the Polar Plunge. Chief Laine began serving on the Special Olympics Illinois Board of Directors in 2010, providing a law enforcement voice and insight to this group. His involvement over the years in the International Association of Chiefs of Police has paid huge dividends for the LETR. He has been instrumental in renewing their support and enthusiasm for the Special Olympics movement. Chief Laine has led the LETR efforts not only in Illinois, but throughout the world. From his installation as 6th Vice President of the International Association of Chiefs of Police to his rise to President, he worked tirelessly on behalf of the LETR. In addition, he participated in the 2007 International LETR Final Leg event, as well as two USA Games Final Legs as a support member. This international award, named for the founder of the LETR, is the most prestigious award given in the LETR community worldwide. The award recognizes outstanding individuals who have demonstrated a sustained and significant contribution to Special Olympics and the LETR at the local, national and international levels. During the Hall of Fame Dinner at the conference, Chief Laine accepted the award and said “I will always debate whether I am worthy of this honor to be included with the leaders of the LETR. I am most humbled to accept this honor” of induction into the Hall of Fame. 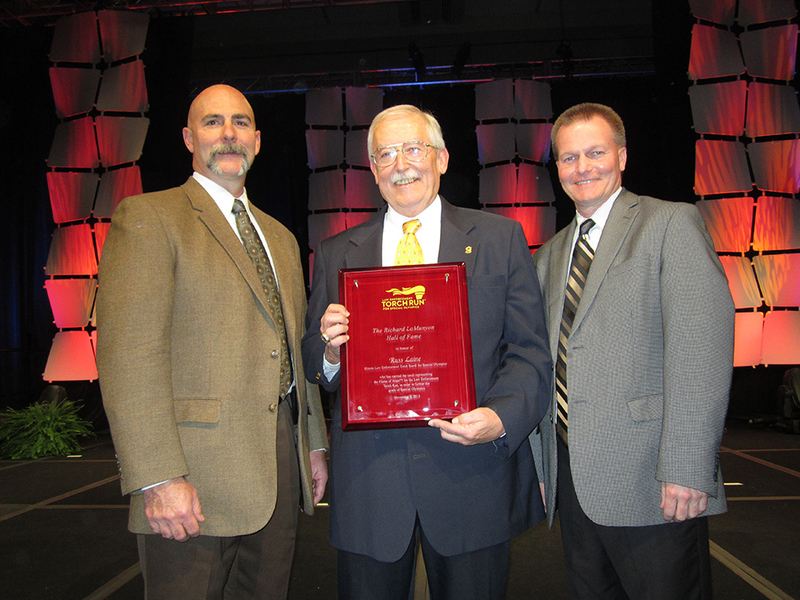 He received a standing ovation from the nearly 1,200 attendees at the event. Special Olympics Illinois is part of an international organization that unleashes the human spirit through the transformative power and joy of sports every day around the world. Through work in sports, health, education and community building, Special Olympics addresses inactivity, injustice, intolerance and social isolation by encouraging and empowering people with intellectual disabilities which leads to a more welcoming and inclusive society. Founded in 1968 in Chicago by Eunice Kennedy Shriver, the Special Olympics movement has grown from a few hundred athletes to more than 4.2 million athletes in 170 countries. With the support of more than 40,000 coaches and volunteers, Special Olympics Illinois is able to deliver 19 Olympic-type sports and more than 170 competitions throughout the year. Visit Special Olympics Illinois at www.soill.org. Celebrating its 32nd Anniversary in 2013, the Law Enforcement Torch Run® (LETR) for Special Olympics is the movement’s largest grass-roots fundraiser and public awareness vehicle, encompassing a variety of events including Torch Runs, Polar Plunge® events and the World’s Largest Truck Convoy® fundraiser. More than 97,000 volunteers around the world participate in LETR activities to champion acceptance and inclusion. Law enforcement officers work together with and on behalf of Special Olympics athletes to celebrate the human spirit, showcase the capabilities of people with disabilities, and to come together in a unified manner to make a positive impact on all people. The LETR is now present in all 50 U.S. states (including Illinois), 12 Canadian provinces and 46 nations around the world. Through law enforcement’s association with Special Olympics and its community and fundraising activities, the LETR raised more than $46 million for Special Olympics Programs around the world in 2012 and has raised more than $461 million since its inception in 1981. 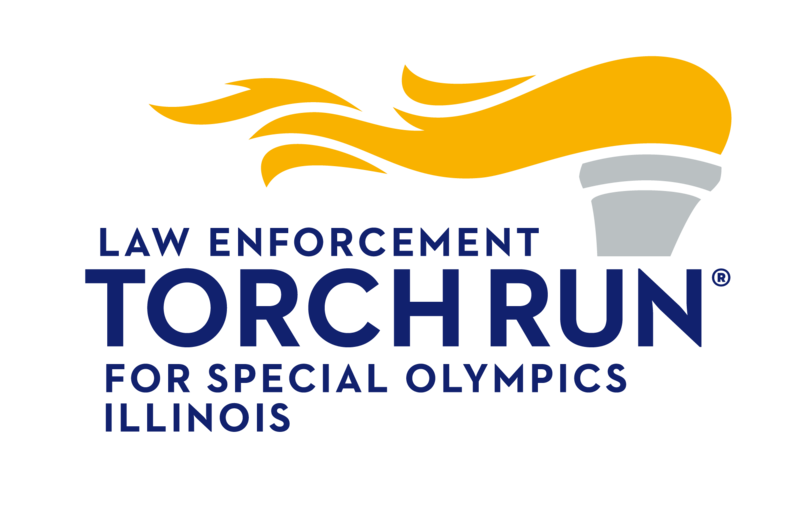 The Illinois LETR began in 1986 and is expected to raise $3 million in 2013.